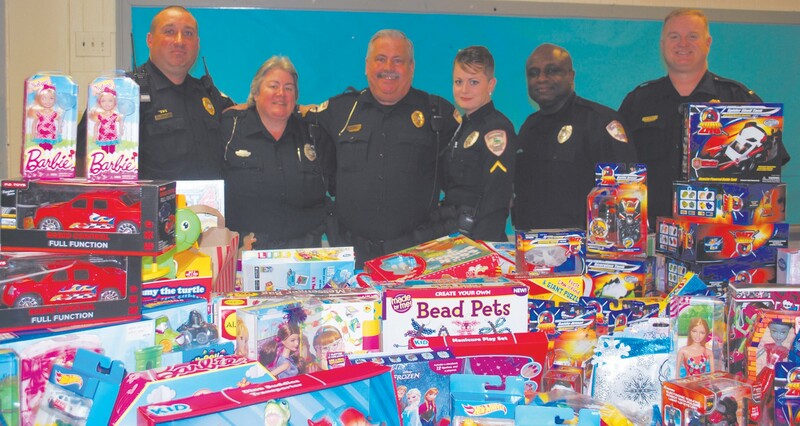 SCCPSS Campus Police have collected toys from area schools to help put a smile on the faces of some sick children this holiday season. Lt. Robert Fort with Campus Police says the Department had such success with a food drive just before Thanksgiving that they decided to take it a step further and try to collect toys for the children of the Ronald McDonald House who are ill and unable to be home over the holidays. In just a couple of weeks – they’ve collected boxes and boxes full of toys that they plan to deliver to children at the Ronald McDonald House and the hospital on Friday. They also plan to cook a lunchtime meal for the families staying at RMH – thanks to donations of food from a number of area stores – the Pooler Walmart, Sams’s Club, and Bi-Lo along with the Kroger stores on Berwick and Mall Boulevards.